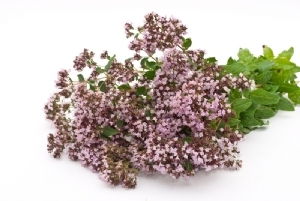 90% of the world's thyme oil crop is produced in Spain due to its favorable growing season. The plant itself is used in cooking, and the essential oil is used as an antiseptic in mouthwashes and cosmetics. Thyme oil is collected through steam distillation of the stems and leaves. Honeybees are brought in to pollinate crops that are allowed to go to seed in order to maximize seed production and fertility. A natural honey with the yummy flavor of savory herbal butter, with a secondary taste of cloves and herbs.